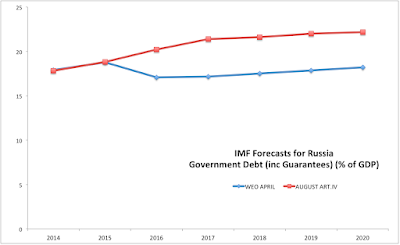 In the previous post, I covered IMF latest analysis of Russian GDP growth. 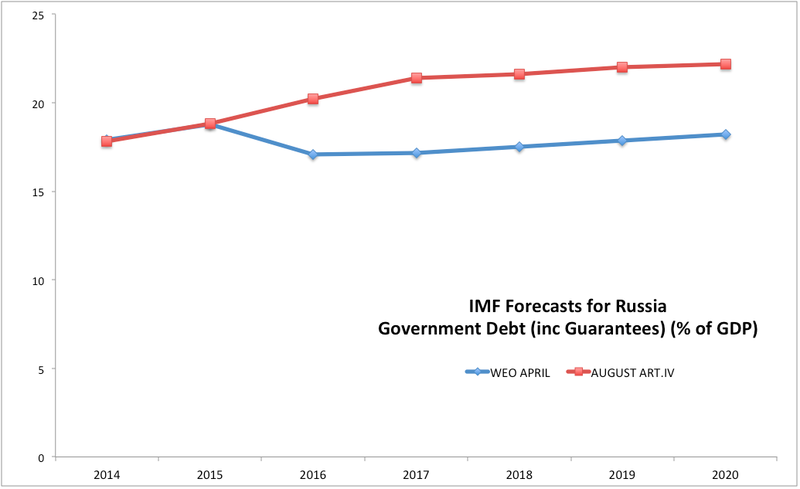 Here, another key theme from the IMF Article IV report on Russia: fiscal policy sustainability. 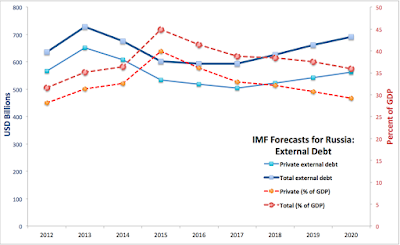 Still, the IMF appears to be quite happy with the overall debt and fiscal sustainability over the short run and is taking a view that over the next 2-3 years, fiscal policy must provide some upside supports to investment. 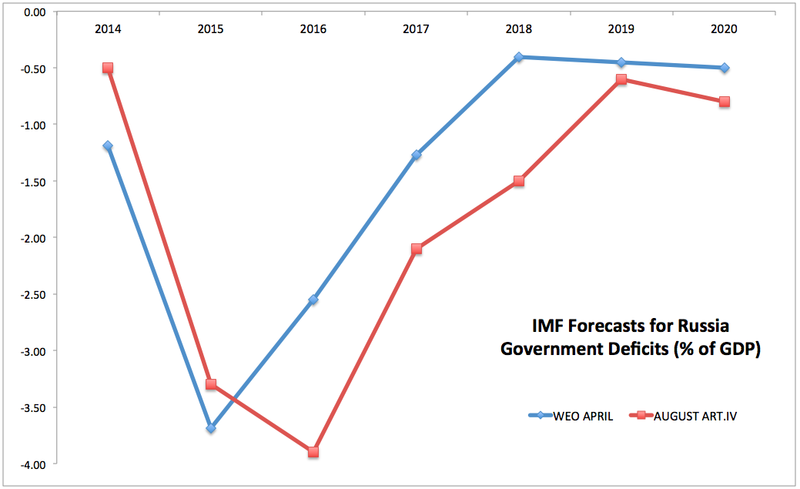 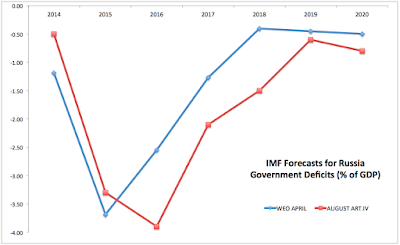 One of the reasons for this is that IMF sees continued strong buffers on fiscal reserves side into 2020, with Gross international reserves of USD362.4 billion and 374.8 billion in 2015-2016 amounting to 13.6 months of imports and providing cover for 496% and 281% of short term debt, respectively. 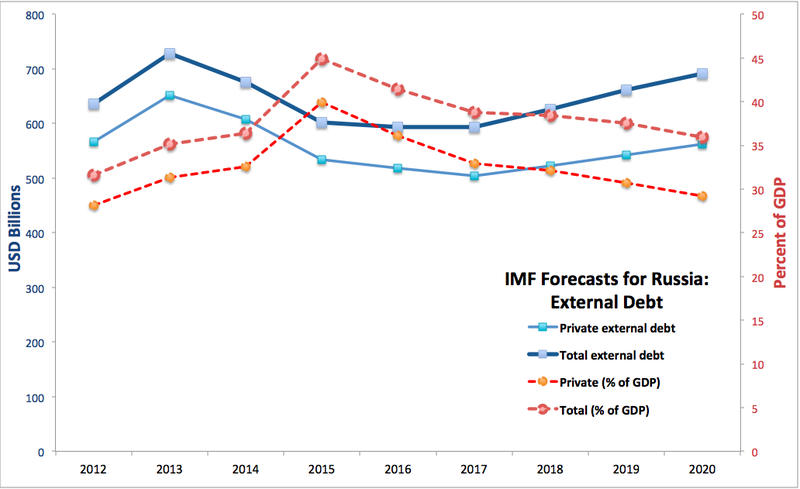 Furthermore, IMF expects debt levels to remain benign, both in terms of Government debt and Private sector debt as the chart above shows. 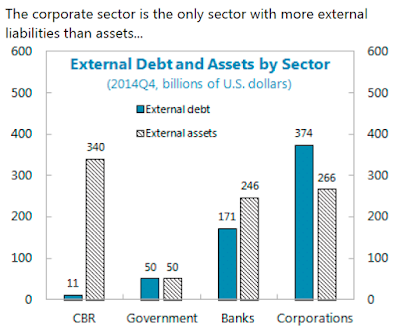 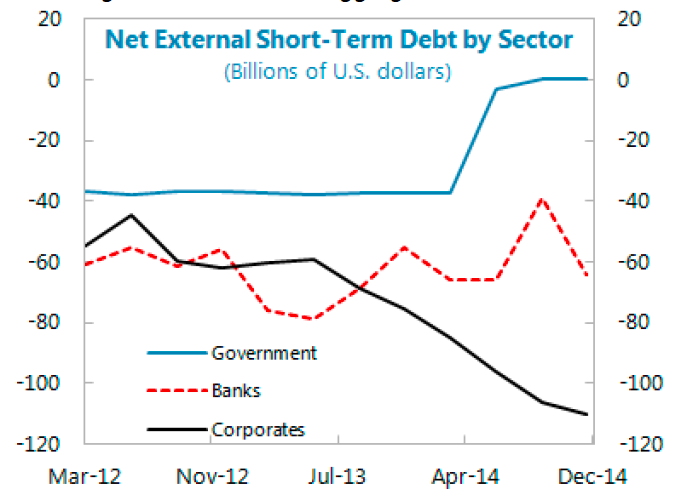 Note: I will cover Private Sector Debt developments in a separate post, so stay tuned. 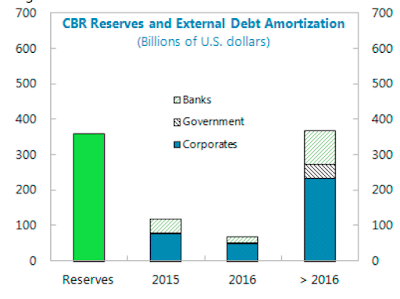 Note: above figures do not net out debt written to Russian banks and corporates by their parent and subsidiary entities located outside Russia, as well as direct investment / equity -linked debt. 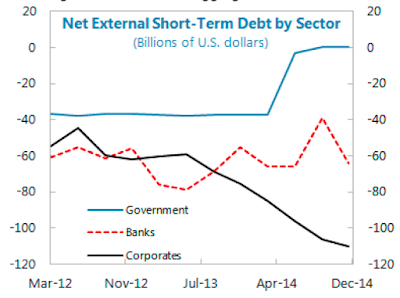 2) "...no sector shows maturity risk with short-term assets exceeding short-term debt in aggregate"
3) Fiscal stance appears to be expansionary, but moderate, with deficits below 4% of GDP forecast for the worst performance year of 2016. 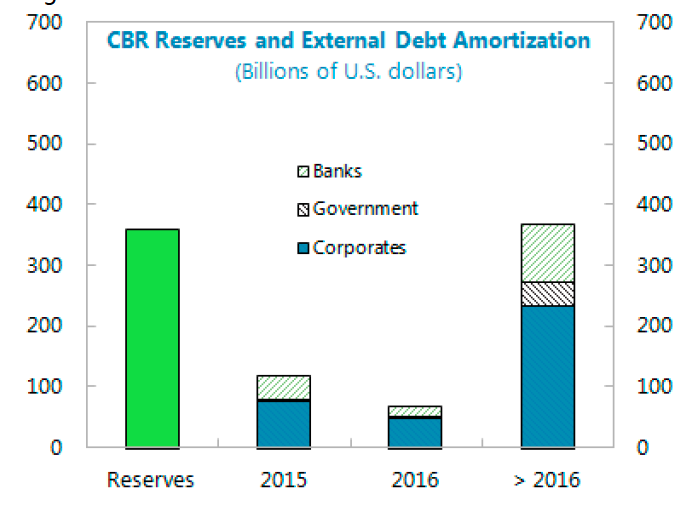 4) "Exchange rate and liquidity risks are mitigated by the CBR's large reserve level"
Stay tuned for more analysis, including debt positions across various sectors.